I’m pretty sure I nominated Apple Matafan a million times for TWD. Finally it’s getting it’s moment in the spotlight! Of course it helped that only two of us voted this month (and one of us was yours truly). Good things come to those who wait…I think we all agree that it is delicious. A matafan is a pancake cooked in a skillet. Traditionally they are savory, but this one’s sweet and loaded with sliced apple. I made a half-sizer in my little cast iron pan. It took less time to cook through than instructed for the larger size and was probably more manageable to flip, too. 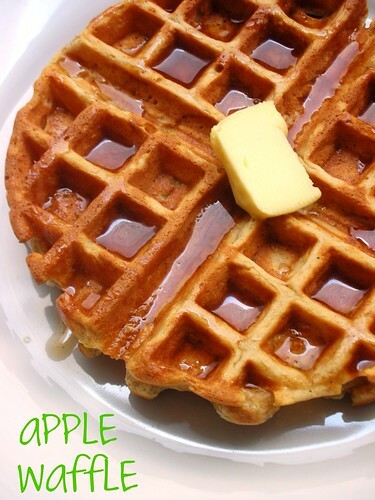 This reminds me of a pancake version of the Custardy Apple Squares we made way back when. It’s a great thing to make if you have a couple of apples that have been hanging out in the fridge a bit too long. 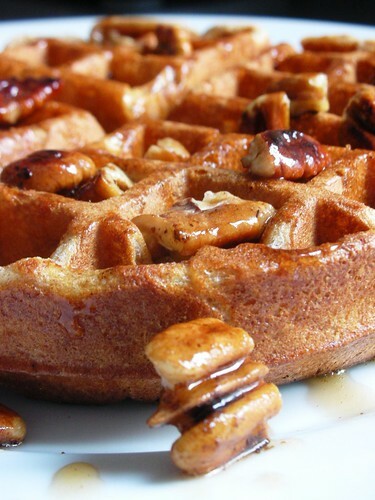 There’s no doubt this would be delicious with maple syrup, but I have some apple cider that I boiled down into a syrupy consistency and spooned that over the top. We ate this one for breakfast, but it would also make a fine dessert (with vanilla or cinnamon ice cream, perhaps?). 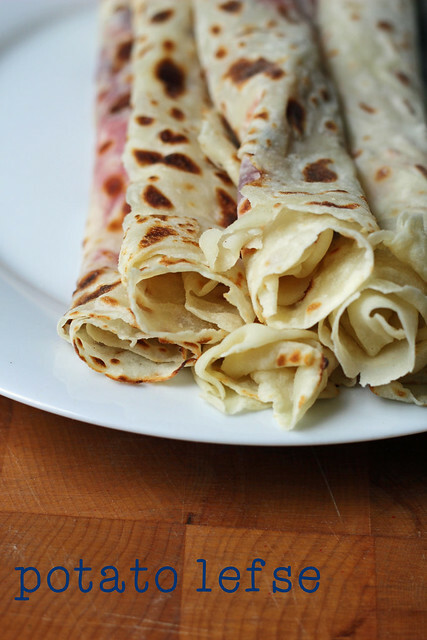 I didn’t really know much about Potato Lefse before Beatrice Ojakangas’s TWD recipe of the week. I quizzed my half-Norwegian friend, and she told me that they are kind of like crêpes and that there’s also a non-potato variety. She said she’s never made them herself, but buys premade ones and reheats them. Ha–looks like I’m one up on you now, Karen! That was mean…I should invite her over for leftovers and see what she thinks. Making the lefse dough was easy. It basically starts with super-smooth mashed potatoes that you air dry in the fridge overnight. Then the next day, you knead flour into the mash and divide the dough into pieces. Shaping and cooking the dough is where it gets tricky. There are a whole host of special tools that hard-core lefse enthusiasts use– a grooved rolling pin and a cloth-covered round board to roll the dough, a big, flat round griddle to cook the lefse on and a long, flat wooden stick to lift and flip them. Darn, I don’t have any of that stuff. I poked around the cabinets to see what I could use instead. This is what I came up with: my regular rolling pin and my Silpat to roll the dough, and a flat cast iron crêpe pan and stick that I have. It would have been easier to cook these with another person, so one could roll the lefse dough balls while the other cooked them off. By myself, it was kind of a process, but I got better as I moved along. My crêpe pan is only 11″ wide, as opposed to 16″ for a lefse pan, so I divided my dough into 16 balls instead of 12. With plenty of flour, I was able to get them rolled nice and thin on the Silpat. I didn’t even need that stick to lift them off…I was just kind of able to flip and peel them onto my hand, tortilla-style. They cooked up perfectly and got nice speckles on the crêpe pan, and the stick came in handy for flipping them. 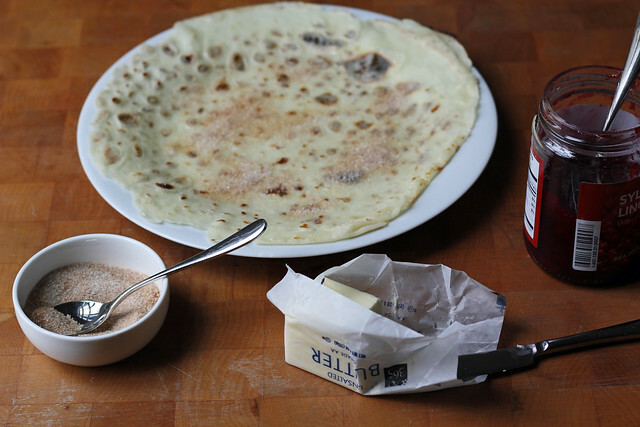 Apparently, much like a crêpe, you can wrap lefse around lots of fillings (even hot dogs–gotta try that! ), but we went the sweet route for breakfast, with butter and cinnamon sugar on some an lingonberry jam on others. They do taste slightly potatoey, but it’s a pleasant earthiness that was surprisingly nice with the sweet fillings. For the recipe, see Baking with Julia by Dorie Greenspan. As Sandra pointed out there’s a video of Beatrice making lefse alongside Martha Stewart. Beatrice uses slightly different measurements than she does in the book, but it’s a great watch for the process of making, shaping and cooking the dough. Don’t forget to check out the rest of the TWD Blogroll! 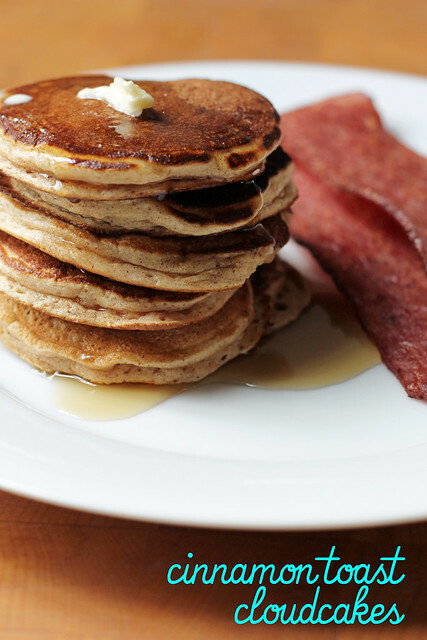 Weekend mornings are made for laziness and pancakes. Unfortunately for the last few weeks, Saturdays here have not been so lazy. We’re getting the windows replaced in our house, and it’s been a long and messy process that, six days a week, starts with contractors coming over at 8:30 and ends in me finding at least one new ding in our carefully refinished original wood floors. Seriously, that makes me want to pull my hair out. Thankfully, there’s Sunday. A day when I don’t have to worry about being changed out of my Hello Kitty pajama pants before nine. A day when I can make Cinnamon “Toast” Cloudcakes for breakfast! Cloudcakes require a little extra effort than regular pancakes, but if I can handle it in the morning, then I promise you can, too. 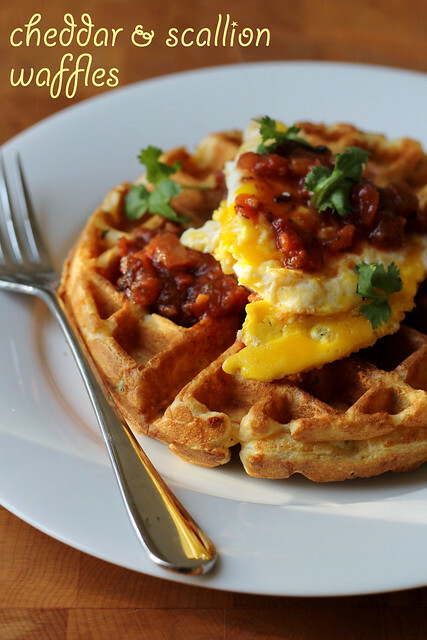 Really, you just need to whip and fold some egg whites…that’s what makes them puffy and cloud-light. The “cinnamon toast” here just refers to spicing in the batter. If you want plain cloudcakes, simply axe the cinnamon. The recipe sounds like it makes a ton, but they are just little silver dollar-sized things, so a tall stack is what you’re after. I made a half-recipe for just the two of us. And some turkey bacon, which I see now looks totally weird in pictures. Home stovetops vary, so you may need to adjust the burner setting between medium-low and medium. 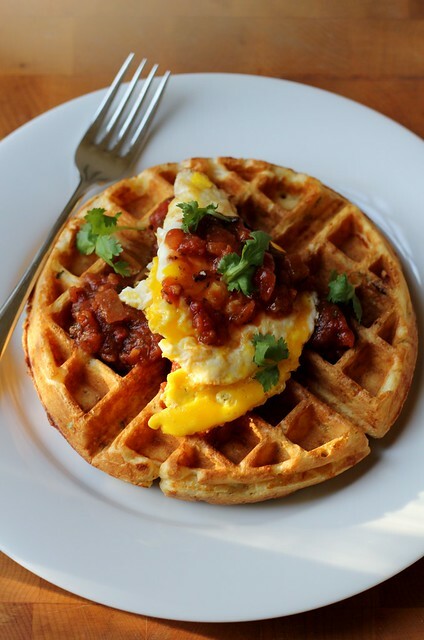 For maximum rise, allow the eggs and buttermilk to come up to room temperature before using them. Low-fat buttermilk works best here; if using fat-free buttermilk, reduce the amount to 1 cup plus 2 tablespoons. Although these pancakes are at their puffiest when served in batches, they can be kept warm on a cooling rack coated with cooking spray and placed over a sheet pan in a 200°F oven for up to 20 minutes. -Whisk flour, sugar, baking soda, salt, and cinnamon together in large bowl. Stir buttermilk and sour cream together in medium bowl until combined. Add egg yolks and butter to buttermilk mixture, and stir well to combine. With electric mixer or balloon whisk, beat all 4 egg whites in large bowl to soft peaks. Pour buttermilk mixture over dry ingredients and whisk until just combined. (Batter should be lumpy, with visible streaks of flour.) Using spatula, carefully fold whites into batter until just combined. Do not overmix–a few streaks of whites should be visible. -Heat 2 teaspoons oil in large nonstick skillet over medium-low heat for 5 minutes. Using 1/8-cup measure or small ladle, spoon batter into pan. Cook until bottoms are evenly browned, 2 to 3 minutes. 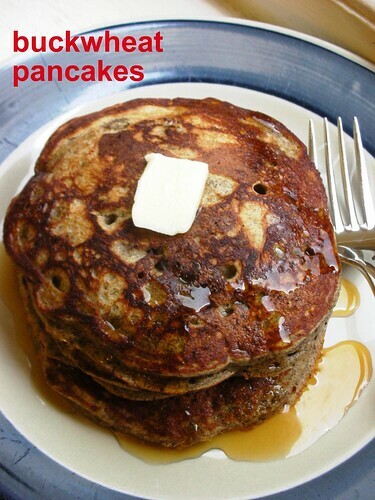 Flip pancakes and cook until golden brown on second side, 2 to 3 minutes longer. Serve, cooking remaining batter and using more vegetable oil as needed to grease pan. Yesterday was the messiest, snowiest, slushiest day New York City has seen all winter. A yucky day outside makes for the perfect day to hibernate inside (luckily, I usually have Wednesdays off from work)…and the perfect day to make homemade pancakes! Ummm….have I told you that I love pancakes? I may have mentioned it a few times, right? I’ve been noticing a lot of buckwheaty recipes lately, so I picked up a bag of buckwheat flour at the shop the other day. I put it to quick work in my first batch of buckwheat pancakes. Normally when I think of buckwheat pancakes, I imagine little yeast-risen blini with caviar or smoked salmon, but these guys are more in-line with buttermilk breakfast pancakes. 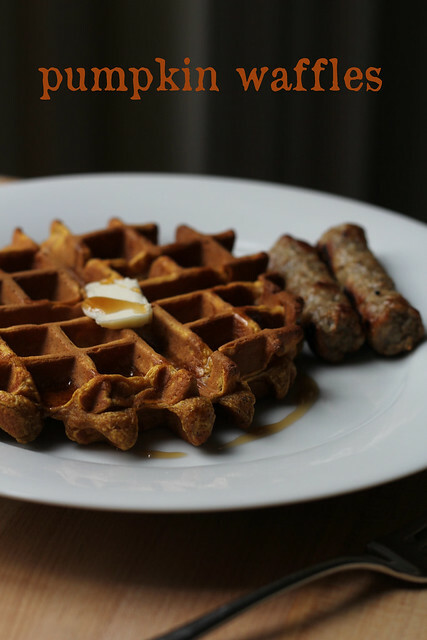 The buckwheat flour gives them an earthy color and slighty nutty taste. These pancakes are hearty and delicious, and just the thing to make you feel cozy on a snowy day. P.S. : My friend Lauren and I met up with Dorie Greenspan at her pop-up CookieBar today. She is nicer that I even imagined her to be, and her cookies are damn good, too! I was so excited that I forgot to tell her I’d made (and devoured) these pancakes…the recipe is hers! Steph’s note: You can reduce the butter in the recipe (I used 3T) if you’d like. The recipe halves wonderfully if you are just feeding two. -In a medium bowl, whisk the flours, baking powder, baking soda and salt together. In another bowl, thoroughly whisk the milk, buttermilk, eggs, melted butter and honey together. Pour the liquid ingredients over the dry ingredients and mix with a whisk, stopping when everything is just combined (don’t worry if the batter is a bit lumpy). 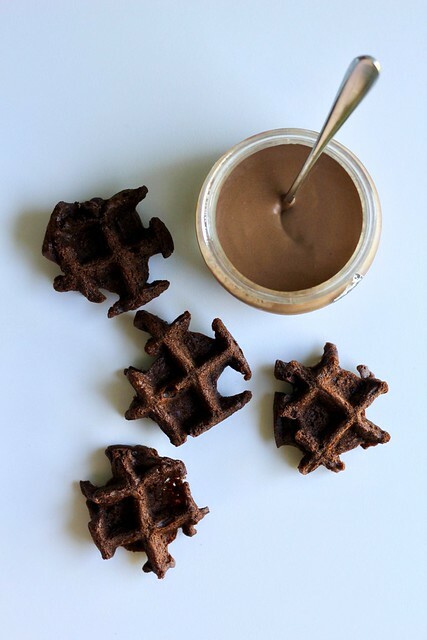 You will have a thick, dark batter that looks as though powdered coffee has been sprinkled through it; as the batter sits, it will become thicker, stickier and more elastic—that is fine. 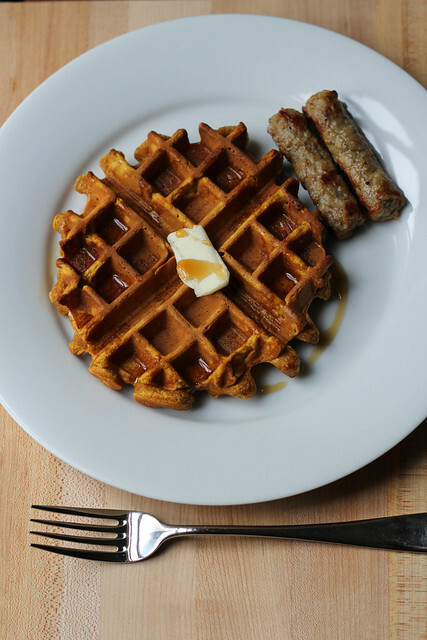 -Lightly butter, oil or spray your griddle or skillet; preheat over medium heat or, if using an electric griddle, set to 350°F; if you want to hold the pancakes until serving time, preheat your oven to 200°F. -Spoon 1/3 cup batter onto the griddle for each pancake, allowing space for spreading and use a spatula or the back of your spoon to lightly press the batter into rounds. When the undersides of the pancakes are golden and the tops are speckled with bubbles that pop and stay open, flip the pancakes over with a wide spatula and cook until the other sides are brown. -Serve immediately with suggested toppings, or keep the finished pancakes in the preheated oven while you make the rest of the batch. I usually have three days off from work each week (ahh, the luxury! ), and you can bet that on one of those mornings I will be making pancakes. I do love them so, and as much as I like to go out to eat, when it comes to pancakes, homemade rules. I have a go-to buttermilk recipe that is the standard (and I will share with you one day soon), but I keep my eyes peeled for something different every once and awhile. You know, no need to be boring, even if you are still in your PJs. 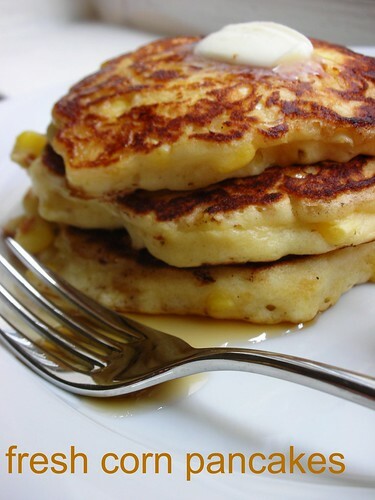 A recipe for fresh corn pancakes the July issue of Gourmet was whispering to me from the pages. It didn’t have to say much, though– the corn is so good and sweet right now, that I felt like this was kind of time-sensitive. I rushed to make them the first time, and have whipped them up two more times since! Pureed corn gives them an overall sunshine-yellow tint, and whole kernels are little bursts of sweetness. Even though I drastically reduced the butter when I made them, they browned gorgeously. Apparently, you can serve these pancakes with salsa and sour cream for a savory take, but I’ll have mine drenched in maple syrup! Note: You can reduce the butter in the recipe (I used 2T) if you’d like. -Whisk together flour, baking powder, sugar, and 1 teaspoon salt in a medium bowl. -Cut enough kernels from cobs to measure 2 cups. Using back of a knife, scrape pulp from cobs and transfer to a blender with milk and 1/2 cup corn. Purée until smooth, then strain through a sieve into another medium bowl, pressing on and then discarding solids. Whisk in eggs, oil, and butter. -Add to flour mixture with remaining 1 1/2 cups corn and whisk until just combined. -Heat a griddle or heavy skillet over medium heat until hot, then lightly brush with oil. 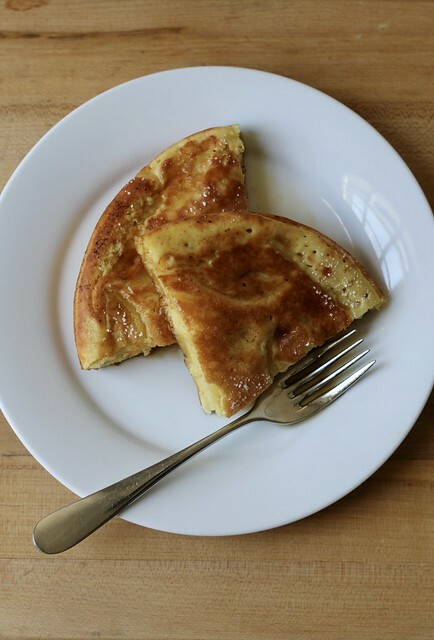 -Working in batches, pour 1/3 cup batter per pancake onto griddle and cook until bubbles appear on surface and undersides are golden-brown, about 2 minutes. Flip with a spatula and cook until undersides are golden-brown, about 1 minute more. (Reduce heat if pancakes brown too quickly.) Lightly oil griddle between batches if necessary. 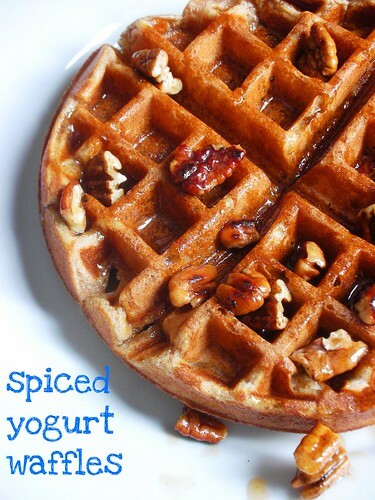 -Drizzle warm maple syrup on the pancakes for breakfast or serve them as a side dish with salsa and sour cream.